Check back for details of our future events and initiatives. Why does Wickford need help with Christmas lights? We would absolutely love to have Christmas lights like Regent and Oxford Street, but they have budgets in the millions. Something we are not gifted with. 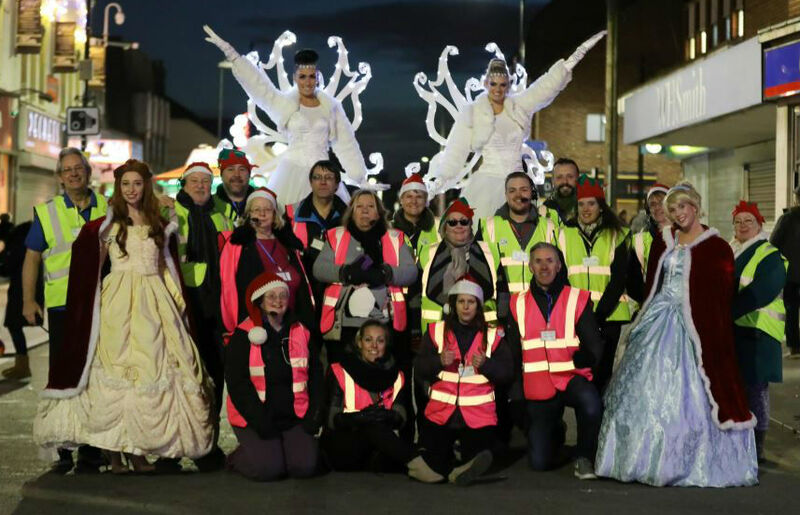 There are limited councils funds so the committee of volunteers give up a large amount of time throughout the whole year to raise funds for the lights and event. We have to work with Essex County Council, Basildon Council, local businesses and many contractors just to get the lights put up. If we want new lights on the light columns these cost in the region of £200+ per fitting and for a cross street display is upwards of £1,000. With these kinds of costs, you can see why improving them is not going to happen quickly. Click here to find out more about the finances. The committee also organises the annual Wickford at Christmas Street Fair, this year on Sunday 24th November 2019. We can’t do it alone though, we need your help too! What is the plan for new lights? When does the Wickford at Christmas Street Fair take place? Sunday 24th November 2019 from 12pm on Wickford High St.
It’s free to attend but we welcome any donations on entry to help raise funds for the event and lights. In 2018 more than 5,000 came to browse the stalls, listen to local musicians and choirs, visit Santa, see the parade, sip on mulled wine and much more. Our blog will be updated with the latest information but you can also get social!